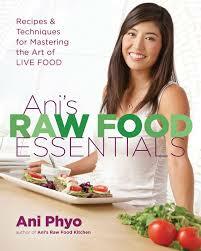 Even if you aren’t following a raw foods diet, it is still nice to have a few raw food recipe books on hand. The recipes in these raw “uncookbooks” are light and refreshing, often easy to make and obviously require no cooking (a godsend in summer months). Most importantly, they inspire you to use common ingredients in creative ways — like using zucchini noodles in place of spaghetti or blended cashews in place of cheese. 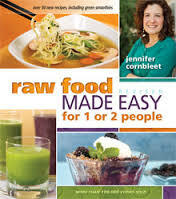 These are some of the best raw food recipe books you will find and include recipes for beginners and advanced raw foodists alike. 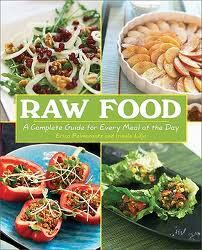 This raw foods book is considered a classic because it contains over 150 foolproof recipes which are easy to make. All of the recipes use common ingredients and basic equipment, and I like that nutritional info for each dish is included. You won’t have to worry about complex food combining or planning your meal days in advance with sprouting times and soaking schedules. 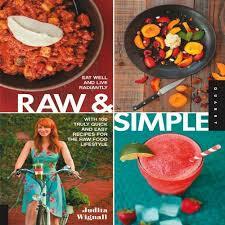 The recipe book also contains meal plans, a chapter on green smoothies, and health tips. This book is a must for anyone who loves flavor and wants a better understanding of how to use spices in their everyday life. The dishes are truly gourmet but still fairly easy to make tools like a Vita-Mix or a dehydrator. I should note that most of these recipes are fairly advanced and often call for unusual ingredients. But the authors do a good job of explaining where you can obtain the ingredients and substitutions you can use. This uncookbook really lives up to its title. The recipes are super simple and don’t even require a dehydrator. Just because the recipes are simple, it doesn’t mean they are boring or bland. I love the herbed pecan pate recipe and the coconut soup was also delicious. All of the recipes are gluten-free and made with easy-to-find ingredients. 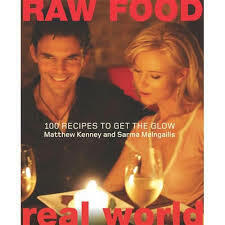 This raw foods recipe book is another classic. The pictures are so gorgeous that they alone will inspire you to start eating more raw foods. I love how Amsden takes traditional unhealthy recipes and turns them into something healthy, like with the raw deep dish spinach pizza recipe and “chai spider ice cream float.” I also love how his recipes use lots of greens but without tasting like a green recipe. Yes, we all probably could use some more greens in our life! 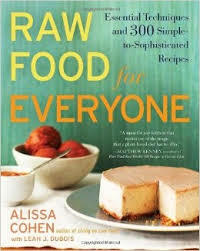 This book is a good choice if you want more info on going raw as well as easy raw recipes. 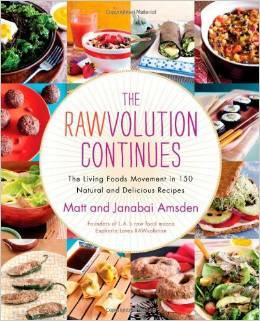 The book is divided into chapters like “Breakfast – The Best Way to Start Your Day”, “Snacks – The Cure for Sweet Cravings” and “Dinner – I’m Hungry and I Want to Eat Now!” The authors do a very good job of explaining how to make the transition to raw foods and the pictures are beautiful. This raw foods recipe book has nearly 500 pages which are packed full of amazing recipes which are approachable even for beginners and inspiring for seasoned raw foodists. I love that there are a lot of quick raw recipes included for those days when you forgot to sprout or soak. The wild mushroom fettuccini with saffron sauce is a favorite, as are the numerous nut-based dips. I especially love how the recipes incorporate greens, utilizing complementing flavors so you can get your daily dosage of greens without it feeling like a chore.